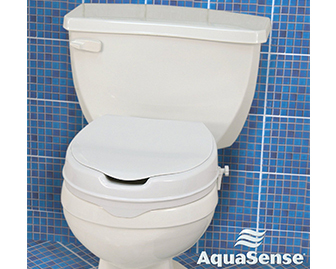 A toilet seat that latches on top of the toilet to make it taller by several inches. Great for people that have difficulty getting into standing from low surfaces or those that rely on nearby objects for support. Easily clamps onto most toilets.